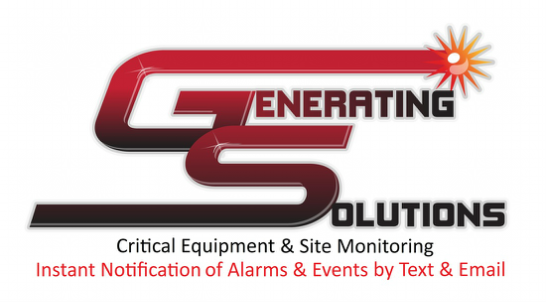 From communications sites to retail stores to hospitals and anywhere else critical equipment is imperative, we monitor any status changes in a stationary generator set and alarm those events via text message or email to as many recipients as you'd like. Keep run logs, monitor fuel levels and all major alarms. Even remotely start your generator set! For more information on stationary generator monitoring, click here. Owners always struggle with the location and status of their equipment. With this in mind, we have developed a monitoring system for alarming critical situations and locating/tracking your equipment. Imagine always being able to know the exact location, any alarms or conditions that may cause the equipment to not start or fail, once running. Geo-fence alarms can also be set for portable equipment. For more information on portable generator monitoring, click here. Our device is UNIVERSAL to all generator brands and manufacturers. Alarm and event availability may differ by manufacturer. We have developed a very reliable monitoring and data collection system that will keep you informed of the current status of your sewage lift stations and water pumping stations. Imagine the cost savings of having your field personnel visiting sites once a week rather than every day; or going to sites where there are problems rather than going to sites that are operating properly. For more information on pump station monitoring, click here. From level, flow and pressure transducers, we are capable of monitoring and alarming these three values in water systems. Where SCADA is not necessary, we can provide accurate pressure readings in PSI, water levels in gallons or feet and flows in Gallons/Minute or Gallons/Hour. The data is updated on the portal every 15 minutes and trending graphs are available, if needed. High and low alarm text messages and e-mail can be sent using the same analog input. We also monitor and alarm lake levels. For more information on water systems monitoring, click here. Communications Sites involve all kinds of important communication equipment, including radios and servers, so the potential for these devices is outstanding. For example, we could pick up all of your standby generator alarms and transfer switch alarms, monitor a fuel tank level, measure the temperature in the room and even add intrusion alarms to the door; all from one device. For more information on communications site monitoring, click here. Fire pumps work just like generators in the sense that they are equally as important. Controls provide enough alarms to let us know when your engine is running and any common or emergency alarms. Room Temperatures Our device can monitor almost anything!